Consistently rated 5 stars by clients for satisfaction with service received. Belinda Knight Solicitor aims to give excellent and professional legal representation for both private clients and those who qualify for legal aid. 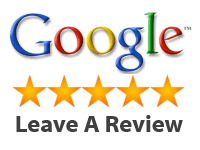 Please do review the testimonials page to see what previous clients have said about the practice. 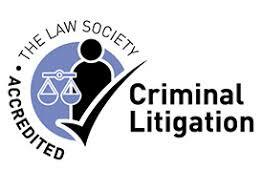 The practice holds and retains the Specialist Quality Mark Certificate for provision of legal aid services. The Specialist Quality Mark (SQM) is a quality assurance standard designed for organisations who supply complex legal help and offer a full range of legal services, including representation in court (where necessary and permitted) by formally trained professionals. Please do visit the contacts page when you are ready to contact the practice. The practice provides free representation at police stations. When you contact the practice by phone, currently the calls are not recorded. We’ll record a summary of your call in our database. This helps us make sure we focus on the issues that matter most to you. We’ll keep this summary anonymous, unless you say otherwise. If you want to know more, or if you don’t want us to use your information in this way, please tell us. The practice has embraced digital technology to ensure timely access to information remotely, taking on board digital court system and legal aid funding for client’s cases to be actioned twenty four hours a day, whether they are here in UK or abroad. We will not disclose any information you give to the practice. It is rare that your communications with the practice might not be covered by legal professional privilege. This means that the practice is not allowed to disclose certain confidential, legal communications to third parties – this includes courts, tribunals, regulatory bodies and enforcement agencies. Getting the best from us our advice is based on the information you give us, so please make sure you tell us what you want. The more accurate and relevant the information you give, the better the advice we are able to give. The practice will try and settle disputes directly to help discontinue proceedings and you will always speak to the same lawyer to ensure continuity. The practice will always confirm any advice in writing. The practice is able to deal with voluminous cases, and is able to build a strong team around any specific case, handpicked for your specific case, as required. The practice aims be compliant with the UK’s Modern Slavery Act which came into force in October 2015. For more details of the experience the practice has in each of these areas, please see below.